Before you put your house on the market, it's wise to do a careful survey to assess how your home is going to look to a potential buyer. In addition to putting a fresh coat of paint on the walls and repairing that faulty door latch, you'll probably consider some upgrades and renovations that you hope will cause your house to sell faster and for more. They might, if you pick the right improvements and avoid the wrong ones. Here's why: the costs of most remodeling projects continue to climb, while the recoup value of improvements at resale is declining to levels last seen in 2002, according to Realtor Magazine, the publication the National Association of Realtors (NAR). On the other hand, selling quickly might be just as important as what percentage of the cost is recouped. A home that lingers on the market will mean additional mortgage payments and might end up selling for less than a home that attracts a quick offer. Choosing projects that offer the biggest bang for the buck may speed up a sale while keeping costs under control. A fresh coat of paint on outdoor trim costs very little and gives your home a very fresh and clean appearance from the curb. So will a nicely landscaped and maintained lawn. A lawn service, for example, can make the grass green and lush while eliminating the weeds. It might take several applications to get the best result, so this is something you'll want to do before putting your home on the market. This could be a DIY project, but there are plenty of professionals who can design and implement a landscaping scheme, and whose services are very cost-effective. According to HGTV, the return on a professional landscaping job is 100%. Take a critical look at your front door. If the door is old and need of repair, consider replacing it with a new one. According to Popular Mechanics, it can be one of the most cost-effective upgrades you can make to your home. If you think about it, it makes sense. People looking at your home are going to enter through that doorway. If the door is fresh and new, it's reasonable to think they'll see the rest of your home that way too. Replacement windows obviously carry a bigger cost, but they are something that practical homebuyers look for and appreciate. There's a lot of debate about whether it pays to replace windows before selling, but the answer may come down to what kind of condition your present windows are in. If they're really awful, many buyers will pass on your house, or may low-ball their offer, figuring they will have to replace the windows soon. 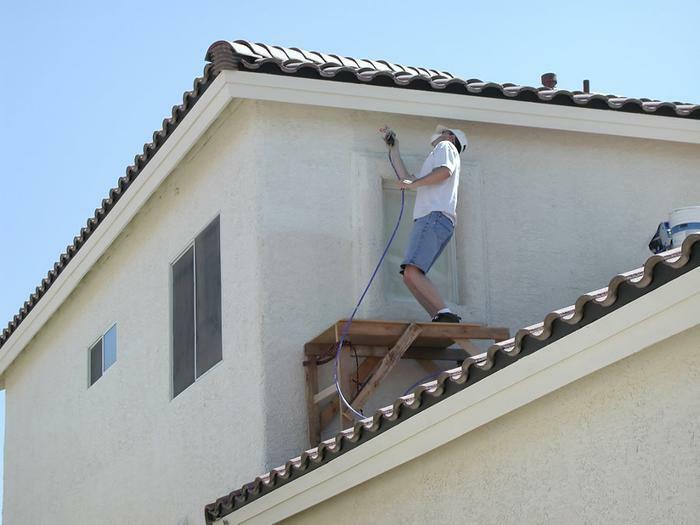 Window replacement, ideally, should be done a few years before you're ready to sell. New windows are both attractive and will save on heating and cooling costs. Replacing some, in key locations, might be a compromise between replacing all of them or none at all. Awnings added to your home in key areas can have a transformative effect. They can improve your home's appearance and, when covering a deck or patio that gets the full afternoon sun, can make outdoor spaces more usable. Retractable awnings provide shade when you want it but leave the covered area exposed at all other times. These motorized units usually unfurl the awning and put it into place by simply touching a button, much like raising and lowering a garage door. Some retractable units are deployed manually, using a hand crank. How about a hot tub? Realty Times reports these spas may make your home more attractive, but only for some buyers and under the right circumstances. A stand-alone tub you purchase in a showroom might not have that much appeal, unless you make clear that it conveys with the property. A tub built into the ground, much like a pool, may be more desirable, according to Realty Times. For someone who really likes the idea of having a hot tub in their backyard, it could be what pushes them in your direction. But it's best to invest in one only if you and your family will enjoy it before you sell your home. What's included in your home purchase closing costs?